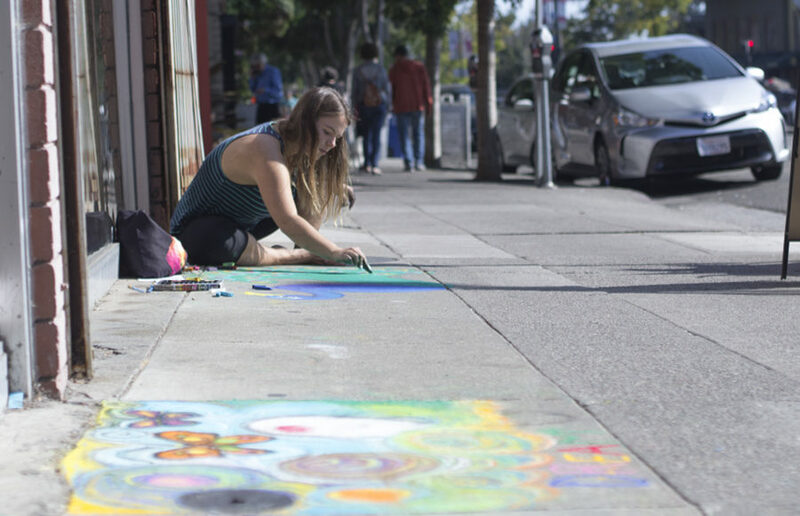 The sidewalks of Shattuck Avenue in the Gourmet Ghetto come alive for one day each year — they transform into the canvases of many artists, ranging in age and experience. 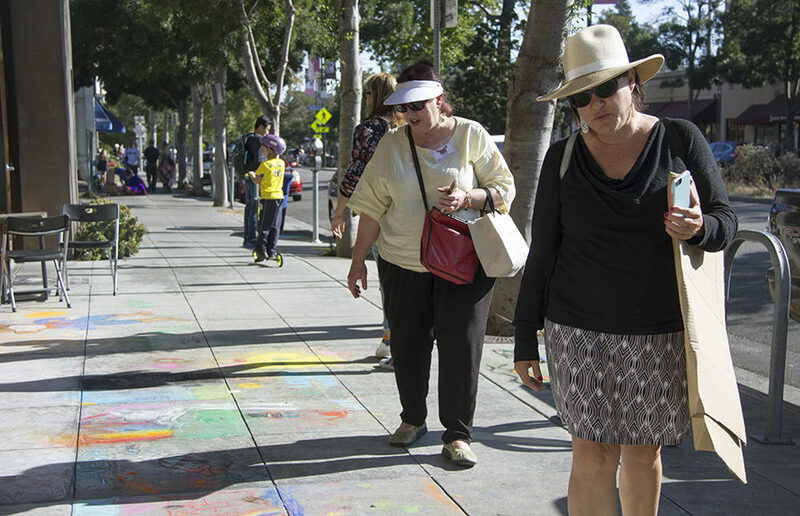 The result is blocks filled with colorful, imaginative artwork on display for all passers-by. 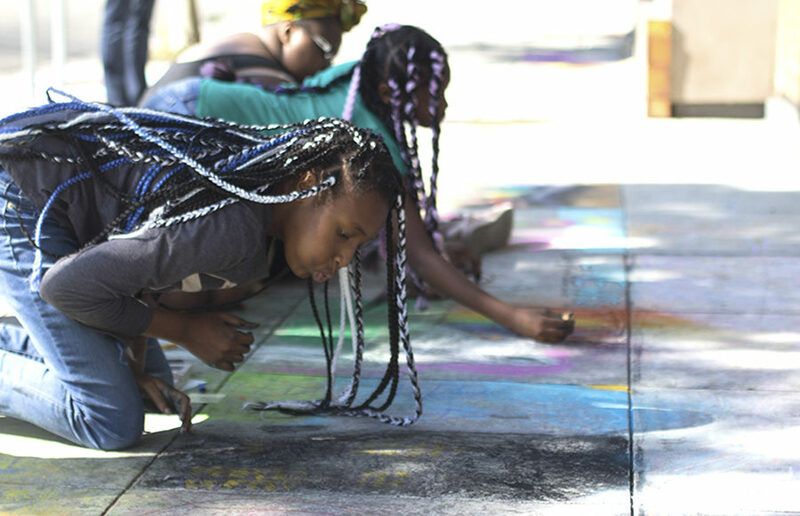 The 20th annual Chocolate & Chalk Art Festival took place Saturday on the streets of Northside’s Gourmet Ghetto. 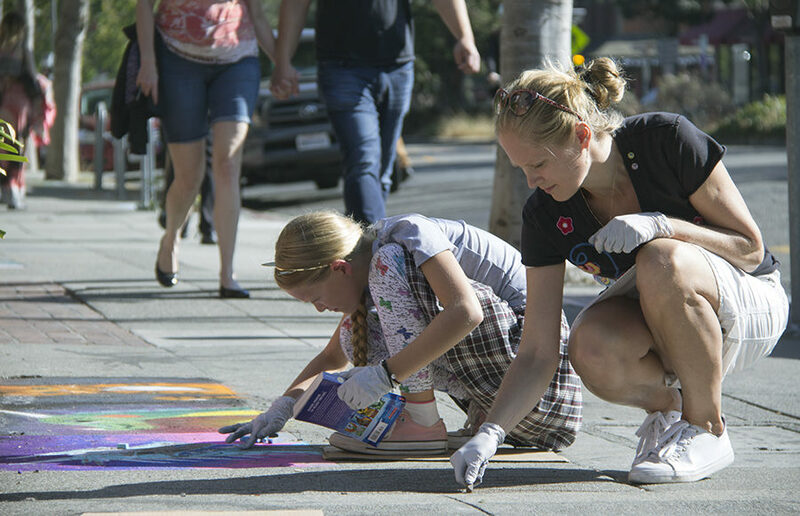 Participants could sign up for free to reserve a space on the sidewalk where they could create art out of chalk. 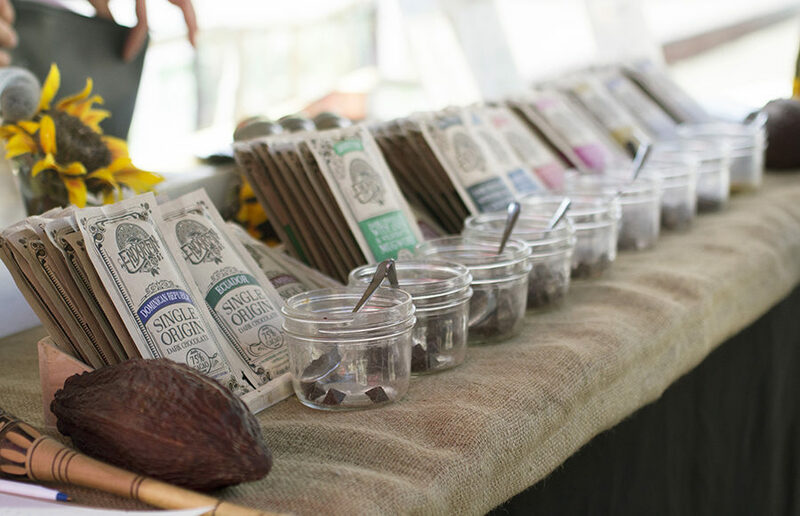 Accompanying the art is the theme of chocolate — various local businesses participated in the event by selling their chocolate products, ranging from dark chocolate truffles to chocolate mole tacos. 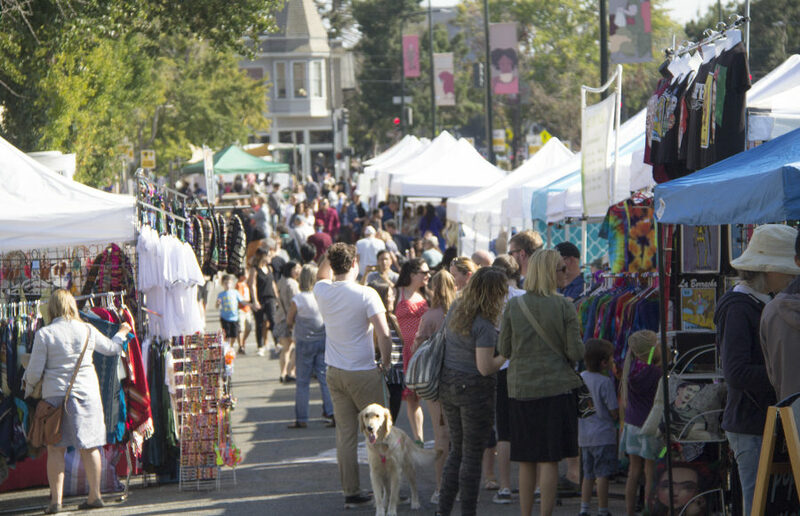 The festival utilizes a ticket system — one dollar per one ticket — with each item ranging from one to five tickets. But if chocolate isn’t your thing, there was even more to enjoy during the seven-hour festival. Local businesses and vendors also set up their nonchocolate products for people to buy, many offering special festival discounts. 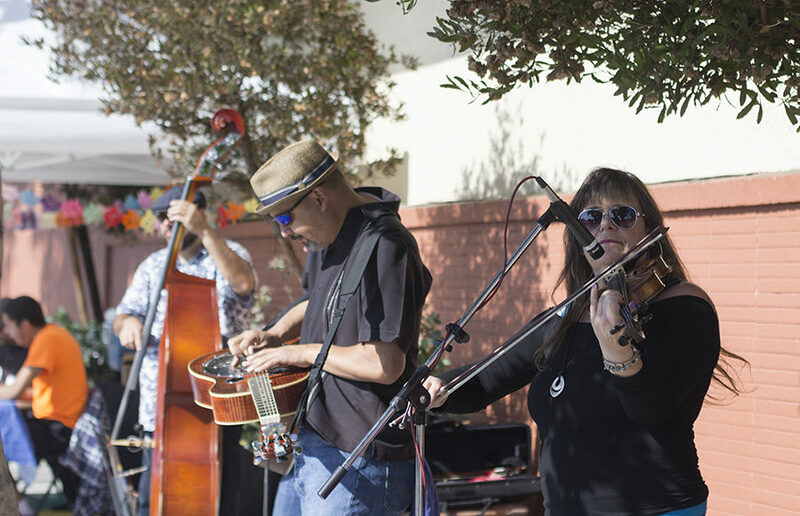 Not to mention, live music was happening all day, ranging in genres and spanning the length of the festival streets. Everything offered at the festival served to promote its intent to bring people together while promoting the area and its businesses. The art produced at the festival ranged in content, sometimes reflecting the theme of the festival and sometimes reflecting current issues, such as messages relating to LGBTQ+ and women’s equality. Many of the artwork this year did represent food or chocolate in some way. 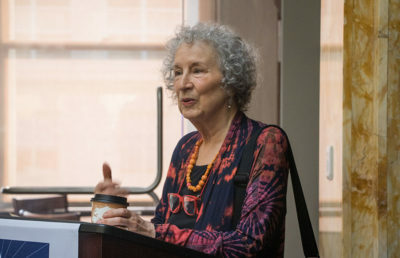 One drawing that drew particular attention from the crowd was of well-known candy bar wrappings — the red of the Kit-Kat, the distinct teardrop shape of a Hershey’s Kiss — with words such as “kindness” and “peace” replacing the names of the candies. Other works of art depicted scenes of nature or animals. One thing all of the drawings had in common, however, was a vibrancy of color, making for an appealing backdrop to see while wandering through the festival streets. Adding to the lively atmosphere was all of the live music. 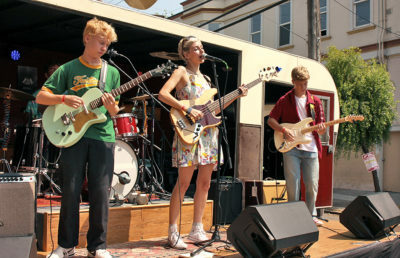 One artist who drew a noticeable crowd was Lorenzo Wood, a 16-year-old musician from the Bay Area. 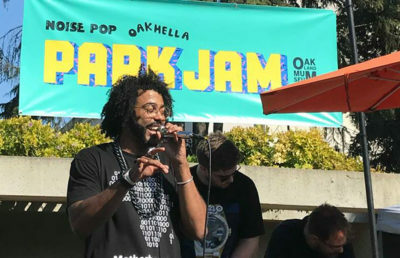 His covers of well-known songs — from Jimmy Eat World’s “The Middle” to U2’s “I Still Haven’t Found What I’m Looking For” — drew people to sit and watch his set play out and to take a break from the rest of the festival’s activities. And they were indeed happy. Those who came out to the festival were clearly pleased that they did. The combination of chocolate and chalk definitely makes for an interesting — yet fitting — combination. Participants get to enjoy sweet treats while creating whatever kind of art they please. 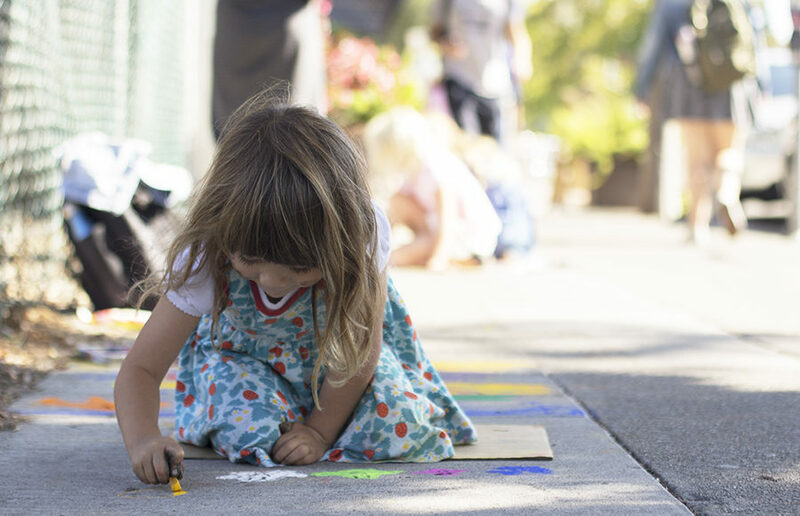 A festival based around two elements strongly associated with childhood, candy and chalk drawing, makes for a family-friendly environment in which adults can be taken back to their childhoods right alongside their kids. 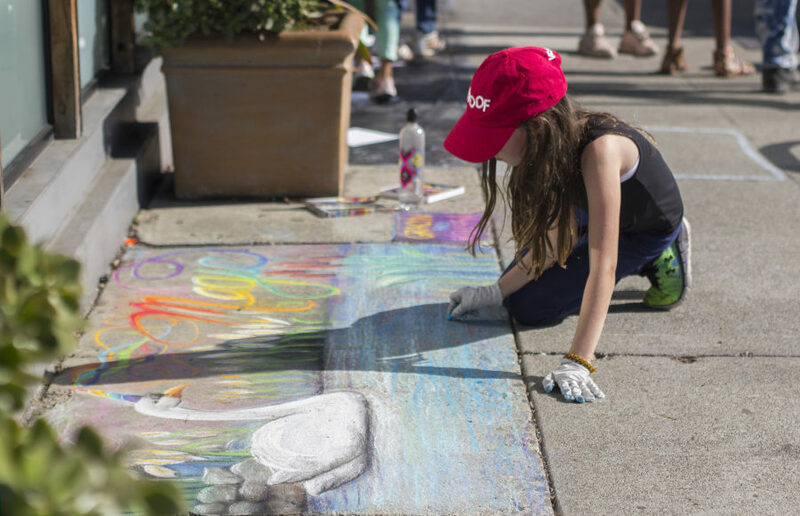 Even without participating in the chalk drawing, festivalgoers get to look at a different kind of art than that which shows up more commonly at other art festivals. 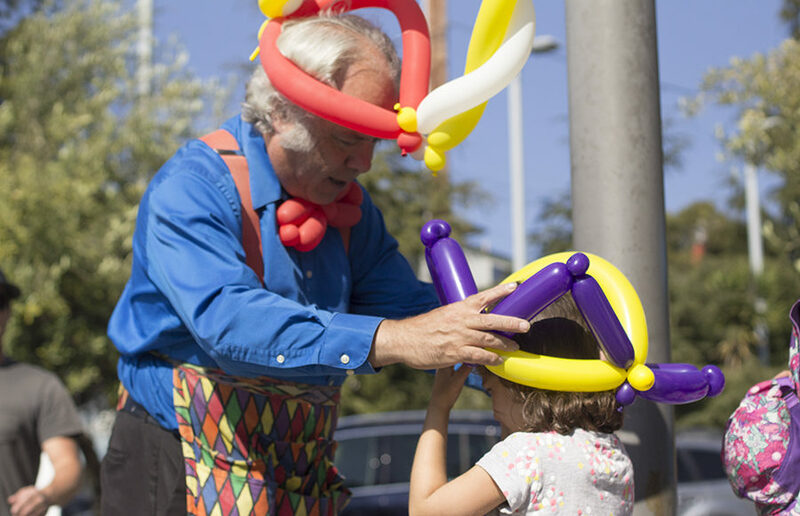 What results is a lively and fun atmosphere full of people who are happy to be surrounded by art and food and to be transported back to the essentials of childhood, if only for a day.